October 30, 2018 in Health Risk Management • By Miles Varn, M.D. About one in eight Americans older than 12 reported taking antidepressants in a study by the Center for Disease Control and Prevention’s National Center for Health Statistics. That’s an increase of 65% between 1999 and 2014, the last year data was available in the study. The study also found that long-term use of antidepressants has become more common, with 25% of the study participants reporting they had taken antidepressants for 10 years or more. The researchers say that the increase in prescriptions for these medications is due not simply to a larger number of patients who are being treated for depression. 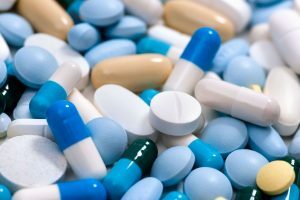 Antidepressants are also being prescribed for other common conditions, such as sleep problems and pain caused by nerve damage from diabetes, multiple sclerosis, chemotherapy, thyroid disorders, and other health problems. If your doctor has recommended that you take an antidepressant, ask these questions to learn more about how they may help, what side effects they may cause, and whether antidepressants could interact with other medications you’re taking. Is an antidepressant my only treatment option? Discuss other treatments you can try before starting to take antidepressant medication. Depending on your specific diagnosis and the severity of your depression, your doctor may recommend therapy or lifestyle changes such as increasing physical activity, addressing sleep problems, or decreasing or stopping alcohol use as a starting point or in combination with an antidepressant. Can this medication cause side effects? Not everyone who takes an antidepressant experiences side effects, but, as with any medication, they are possible. For most people, side effects occur when they first start taking the medications, then decrease over time. Depending on the medication prescribed, side effects can include nausea, diarrhea, weight gain, dizziness, sexual dysfunction, hand tremors, dry mouth, fatigue, and insomnia. If you experience side effects that bother you, talk with your doctor. He or she may be able to prescribe a different medication. When and how should I take this medication? Ask your doctor whether it’s better to take your medication in the morning or evening, whether it should be taken with food or on an empty stomach, and whether you can take it with any other medications you’re taking. Also find out if any of the medications or supplements you take may interact with your antidepressant. How long will it take for this medication to work? It will take some time before you notice an improvement in your depression. Depending on the medication and the severity of your depression, it can take between two and eight weeks for you to notice a benefit from the medication. How long will I need to take an antidepressant? The length of treatment is different for each patient and depends on the severity of the depression and how well you respond to the medication. When your symptoms improve and remain stable, your doctor may recommend tapering off the medication. Do not stop taking antidepressants without your doctor’s guidance. Quitting suddenly can lead to antidepressant discontinuation syndrome, which can cause anxiety, sadness, irritability, fatigue, headaches, nausea, vomiting, and dizziness. Are there people who should not take antidepressants? If you are planning to become pregnant, are pregnant, or are breastfeeding, talk to your doctor about whether you should take antidepressant medication. Some medications have been associated with an increased risk of pre-term birth and heart abnormalities. Could a physical problem be the cause of my symptoms? There are several health problems that mimic the symptoms of anxiety and depression, including heart disease, respiratory disease, diabetes, and thyroid conditions. Especially if you have no personal or family history of depression and your symptoms start suddenly, ask your doctor to check for underlying health problems that may be causing your mental health symptoms.